The best bull I've ever raised and the best bull to ever walk my pastures. 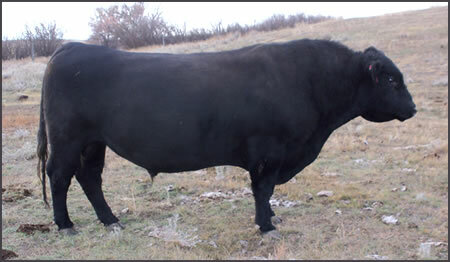 A medium frame bull that is wide deep and long. Excellent bone, body structure, balance and doesn't have the faults of his ancestry. He is lap dog gentle and transfers that to his calves. He is linebred five generations which makes him highly prepotent, extremely fertile, and genetically superior to most all other cattle. He will dominate a mating on birth weight and is a true heifer bull. 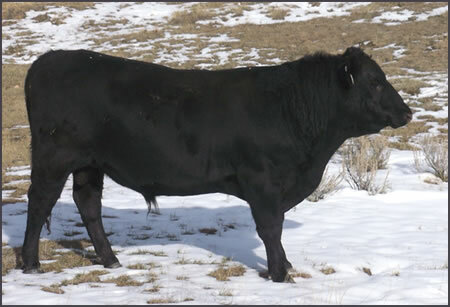 He is an aggressive, but efficient, breeding bull - breeding 25 as a yearling, 43 of 44 at two years old, 54 of 55 at three years old, and 45 at four years old, with only a handful past 30 days calving. A Paturn 05 son I kept to continue my line breeding program. I saved him based on the power of his dam, brothers and sister. His dam, Emula 812, is a Paturn 45 daughter out of a double bred Jorgenson Ideal 033 cow. I had doubts about him and my breeding program until his calves started hitting the ground. Long masculine sons and clean feminine daughters. He adds length and balance to his calves and his daughters are more refined than their ancestors. Every generation of line bred just keeps getting better than the last. Calves have excellent dispositions. He worked well on heifers. Birth weights in the 70's and low 80's. I never touched a calf. In fact, I haven't touched a calf in years. The next bull in my linebreeding program. 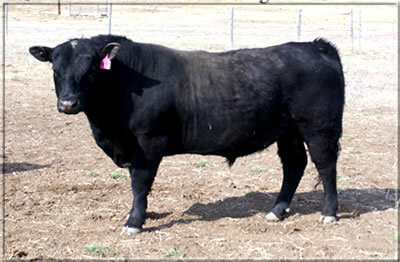 This bull widens out my genetic base by bringing in the Paturn 56 bull and the Horse Butte 162 bull. 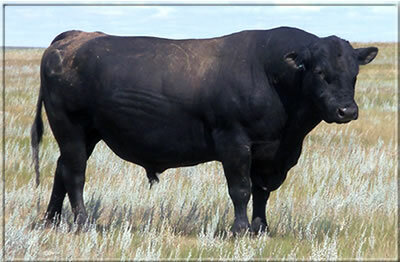 The Paturn 56 bull was the most powerful growth bull I raised. I saved a son, sold 56 and then the son got hurt so I lost this paternal line. I now am bringing it in on the maternal side. The most important thing this bull does is bring in the Primrose 4-8 cow. The 4-8 cow comes in twice though her son Paturn 45 and once through her only daughter Primrose 711. The 4-8 cow had 12 great calves while she was here and her daughter is better than she was. 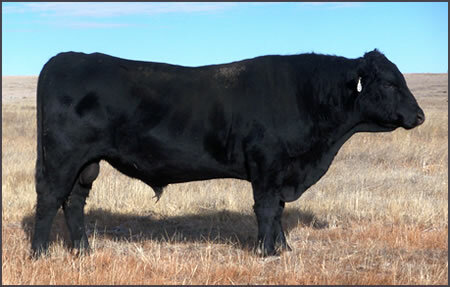 The 57 bull carries that extra length with a broad barrel chest and the best foot of any of my bulls. He was a pet as a calf and is very easy to work with. He will be a good heifer bull with added growth and with 4 of my best cows up close in his pedigree his daughters will be excellent. Another Shoshone bred bull from Jack McNamee to continue my second bloodline. JMc 5137 is a tightly linebred bull tracing three times up close to the True Bess 1945 cow, and carries 50% of her blood. Jack has identified 4 superior cow families on his ranch. The True Bess and Sweet Sarah are 2 of them. This bull intensifies the genetic goodness of the 1945 cow. In my experience linebreeding, when you stack them up the good ones keep getting better and the rest find their way into the cull pen. The bulls I've gotten from Jack are very athletic and smooth moving. They have extra length and great structural balance. One thing I like is their tight foot with extra length in the heel. Like my bulls, they have a strong libido. I expect him to be a hands free heifer bull and to produce low input, no maintenance true range cows. Proud – Arrogant – Vain. This is how I would describe Paturn 320. He thinks he's quite the stud muffin. 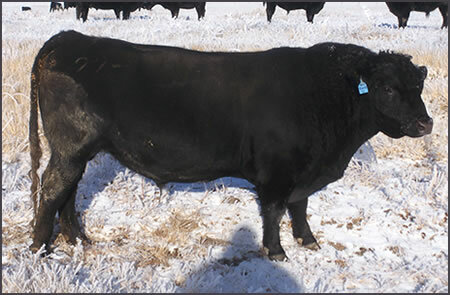 The Encore bred cattle are known to be low maintenance, low input cattle. The JMac daughters mothering compares almost equal to the Manor cow. The JMac daughters seem to be more fuel efficient and have higher quality milk. The Manor cow is very heavy milking and the Outcross 364 daughters seem to milk heavier and longer into the fall. I never intended to keep the 320 bull but he was so good I couldn't sell him. As a calf he had a nice wide stance and good depth that carried his full length. We all know that height equals height, but length equals weight and 320 adds that extra length. His calves have nice structural balance. Daughters are feminine and clean fronted with good depth and width into the hind quarter. I was concerned about disposition but his calves all seem to be pretty docile. A good heifer bull – weights in the 70's and low 80's. I never touched a calf. A Shoshone Encore bred bull I purchased from Jack McNamee from Miles City. 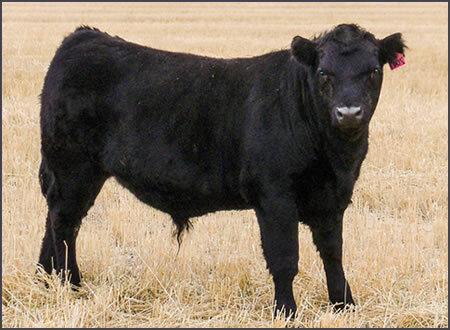 The Encore cattle are known to be medium frame, highly fertile, low maintenance and problem free. 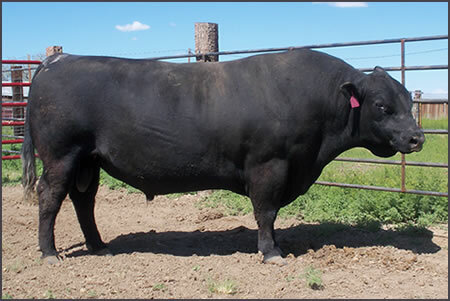 428 is larger framed than most Encore cattle and is bigger in his bone structure. He is athletic and smooth moving. I am very pleased with his calves. He seems to add balance to my heavy cattle, adding length to the hip, shoulder and neck. He smoothed them out some. His first daughters in production are excellent mothers, as good as the 05 cows. Good dispositions and great udders, and they also laid out with their calves for 3 days. The 428 cows stayed in good shape this summer. They seem to be more fuel efficient and I believe they have higher quality milk. 428 broke his leg so I only got 2 calf crops from him. The last 2 years I have been doing embryo work with his sire HBR 7013, and plan on getting a brother to 428. He will be the base for a second line of cattle here at Turner Angus. A Past Herd Sire. His daughters come to the front of the herd in the bad dry years.